Temperature and humidity can affect your health. In fact, people who suffer from asthma are mostly suffering from problems related to dampness. In the interests of health, most homes are actually too humid, which can facilitate the growth of fungi, mites, and the like. Of course, dry air can be just as bad. Viruses are capable of spreading easier when skin, mucous membranes, and eyes become dried out. And that’s just thinking about people. What about wood furniture? Instruments? Incubators? Art? Without monitoring, temperature and humidity can damage or destroy your possessions. And because of how easy it is to monitor humidity and temperature these days, that destruction is totally needless. But who wants to constantly monitor the humidity in their cellar? Who wants to be permanently aware of the temperature in their attic? The best Wi-Fi thermometers and hygrometers ought to be able to take those concerns off your hand, without requiring you to be ignorant of the world, and while allowing you to micromanage the system only as you see fit. 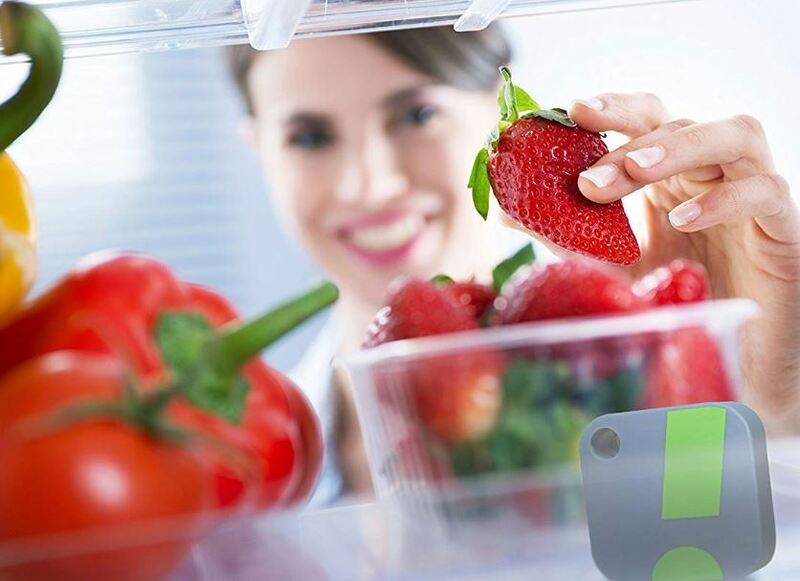 With any type of measuring instrument, accuracy counts, even with a wireless grill thermometer. But the degree of accuracy you should seek depends entirely on you and your use case. When you’re taking a measurement because you’re trying to decide if you should wear a jacket, then the accuracy of your measurement really doesn’t matter that much. If you’re doing something more precise, then accuracy becomes more of a concern. The thermometer/hygrometer may be combined with a display unit which allows you to view temperature data. But these days, more and more of these instruments are being made without a display at all. Instead, they allow people to collect data entirely though the internet. Whether or not you need a display really depends on how much interacting you plan on doing through the included control app. For people who want to do less interacting with the app, or people who are doing more hands-on management, having a display can be useful. The size of a display unit isn’t something you have to worry much about. 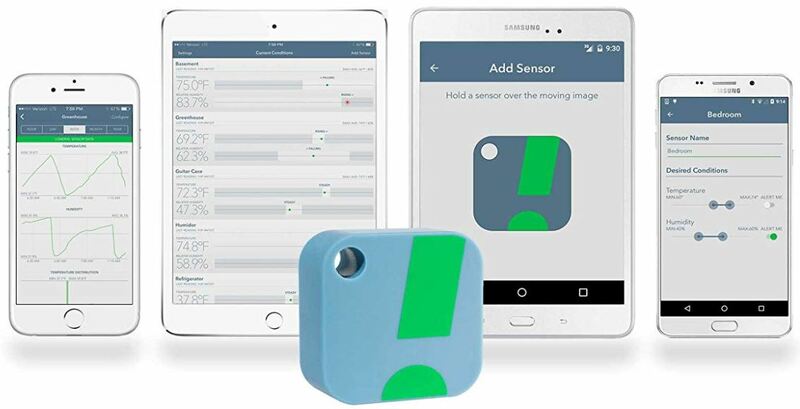 But the size of a sensor is important to keep in mind, especially if you plan on positioning the sensor in a small space. Most sensors will only be a couple inches in diameter, usually not much larger than the batteries which are inside them. Most digital instruments of this type will be powered by simple AA or AAA batteries. Rechargeable ones are even better. You want to look for a unit that can provide about one year of power before you need to swap the batteries. That’s because most well-designed sensors will report about once per minute. Reporting more often requires more battery life, and is generally not necessary for most people in most circumstances. In fact, even a one-minute reporting is a little fast in most circumstances. Going beyond that is really only going to create unnecessary cost and inconvenience. The MINGER Govee WiFi Temperature Sensor was built with an indoor-outdoor design. It’s compatible with both iOS and Android. It’s got wireless thermometer as well as a hygrometer, and it’s capable of delivering alerts which arrive based on the thresholds you’ve determined. 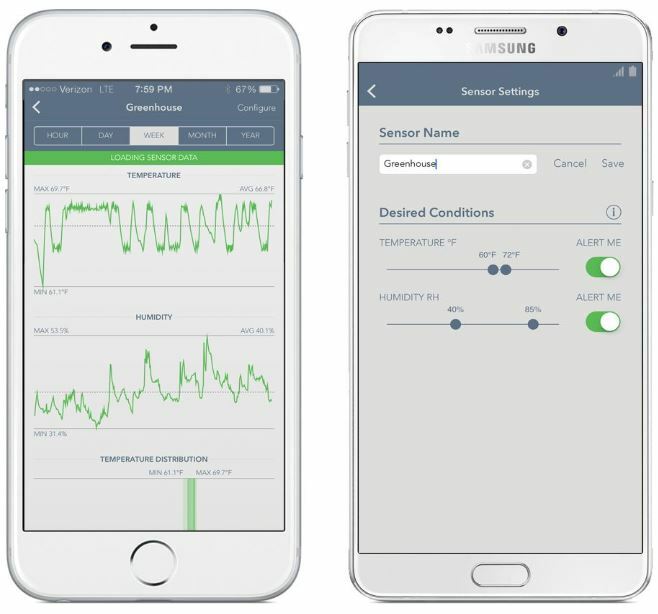 But you don’t have to wait around for alerts, you can actually monitor the sensor data from anywhere that you’re able to use the mobile app. The Govee display unit measures about 3.0 x 2.5 x 0.9-inches. The front side features a fairly basic looking, but highly visible display of all essential sensor data. Because this is an indoor and outdoor design, you’ll find this is a sealed and waterproof chassis. It even includes a small wall mount, which allows you to place or retrieve the data console from a mounted position. There’s really nothing descriptive about the sensor. It’s roughly 3 x 2 x 0.5-inches, and isn’t easily identifiable as a weather sensor. In fact, apart from the Govee name across its front side, and the battery port on its backside, you really have nothing to go on. Every 60 seconds, data syncs between the thermometer and the hygrometer, uploading the data through a Wi-Fi gateway. You can export your data to CSV format without having to pay fees or leap through hoops. If you’re not familiar, CSV is Excel format. That’s pretty good for being able to categorize different types of data. You’re also able to view the battery level of the device through the app, and you’re able to calibrate the sensors. 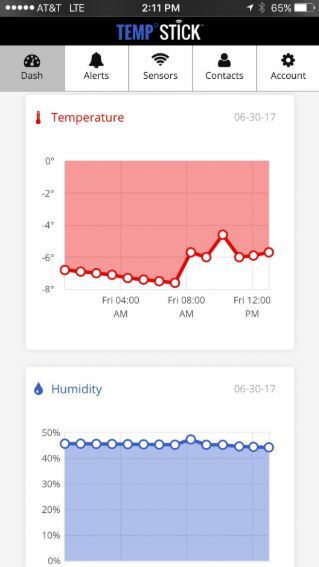 The app actually shows you some pretty cool interactive graphs, explaining how the temperature and relative humidity have moved across the course of a day. Using the app is pretty quick and simple, but there is room for one small complaint. One of the main program buttons, right next to the button that lets you adjust your profile settings and the button that lets you switch between devices, you’ll find a button that’s trying to sell you products. It’s basically an advertisement button that’s permanently in the middle of the interface. It doesn’t really get in the way of anything, but it’s bound to agitate someone, so it’s worth pointing out. 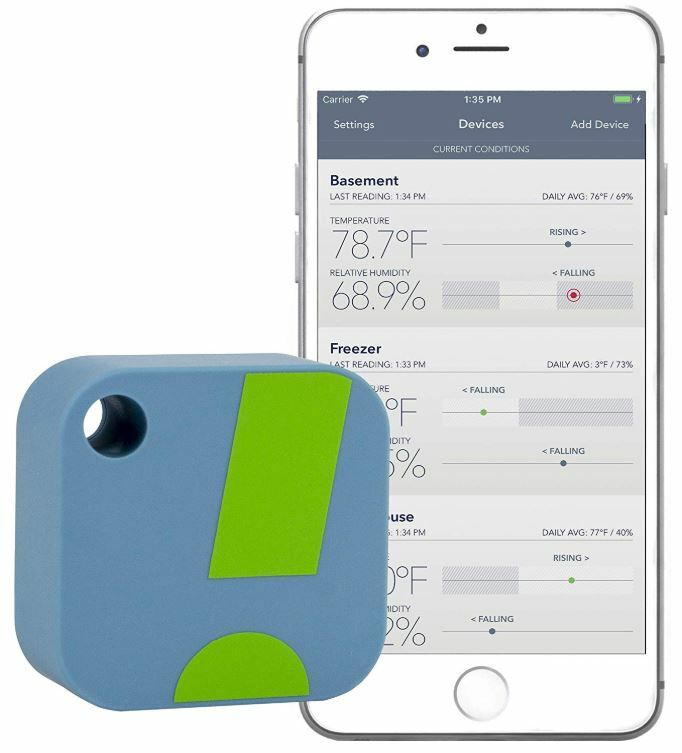 The SHT30 sensor is accurate within a fraction of a degree. Turning to humidity, it’s accurate within about 3%. That’s not bad for digital equipment. The Wi-Fi gateway of this device allows for a connection distance of about 260-feet. You’re able to plant the sensor terrifically far from your network and still end up receiving transmissions. Its range of operation is 14°F – 140°F, which is pretty protective. But in extreme temperatures, you will have to help the sensors retreat to calmer ground. Higher than 140°F and the device is prone to overheating, lower than 14°F and you encounter problems with the battery. The sensor is powered by a single AAA battery, which is included. You’ll need to replace the battery every four or five months, depending on environmental circumstances, and the batteries you’re using in the first place. This is actually a nice chance to use rechargeable batteries. The Govee includes a 2-year replacement warranty. That does not include the battery, however. Over the course of two years, the battery will naturally degrade, and its maximum capacity might fall by as much as 20%. You could be off by 5°F and still easily make the right decision. But when you’re taking scientific measurements, you need different levels of accuracy, which means you need sensors built to higher standards. With the Ideal Sciences Temp Stick, you’re able to check your data at any time with the help of a tablet, PC, or mobile phone. That makes it ideal for monitoring temperature in your fridge, cooler, attic, or on the top of a mountain. The Ideal Sciences Temp Stick measures 3.5 x 1.5 x 1.2-inches, and weighs about six ounces after you’ve got the batteries inside. The sensor comes in either black or white, and isn’t joined by a display unit. Rather, you’re expected to do all of your interaction through the app. This design is completely wireless because the sensor is powered by a pair of AA batteries. Those batteries are included, but you’ll probably want to have your own batteries ready to replace the included batch. Because the included batteries are bound to give out after only a few weeks. With proper batteries, you should expect a full year of performance before they need to be replaced. Though that can literally increase or decrease depending on the weather. This device does not allow for recalibration. That puts a very soft limitation on how long you’ll be able to maintain accuracy over the course of years. But that kind of issue is really only a concern if you’re using the sensor in extreme environments, like an area where you expect the humidity to remain steadily above 85%. 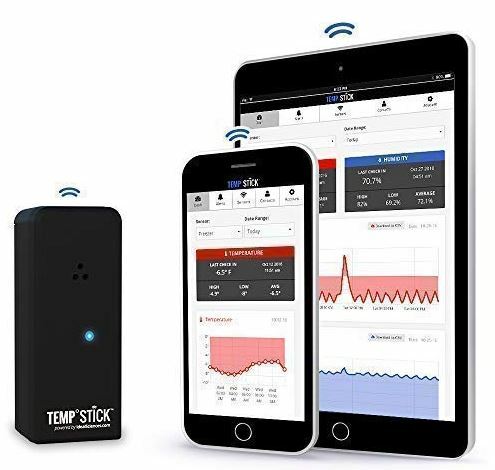 The Temp Stick provides data logging with an unlimited storage history, and without subscription fees. Another thing working for the Temp Stick is its fantastic 5-year warranty. But in this case, any instrument with at least a one-year warranty should provide you with all the protection you need. Unfortunately, their tech support is only available six days a week. Some Wi-Fi thermometers and hygrometers were made for people who want to be hands on with monitoring. The SensorPush Wireless Thermometer/Hygrometer was made for people who want to remain hands off. This sensor is the sort of thing you might shove inside a guitar case, in the back of a wine cellar, or near fresh produce storage. However, the SensorPush Wireless Thermometer/Hygrometer is actually one part of a broader set. 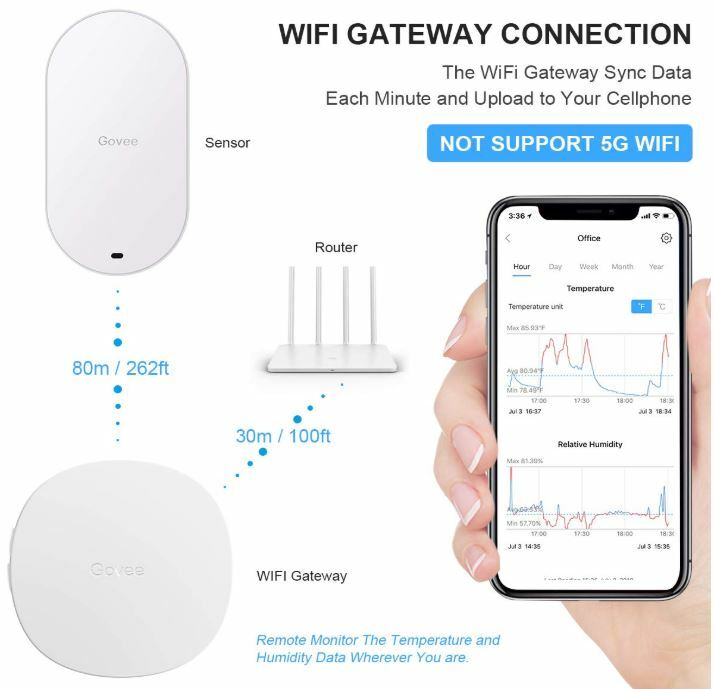 The G1 WiFi gateway lets you get data alerts through the internet, but the sensor and wireless gateway are sold separately. The sensor measures 1.57 x 1.57 x 0.65-inches, making it exceptionally small, similar to an object you’d find dangling from a key ring. In normal conditions, excluding extreme heat and cold, you’ll find about one year of battery life from the sensor. The chassis isn’t waterproof, but if you position the sensor correctly, using it outdoors with minor protection would be possible. You just wouldn’t want to stick it anywhere you expect a puddle to form. The Wi-Fi gateway is actually an impressive unit. Similar to the sensor, it’s quite small, measuring 5.6 x 4.2 x 0.8-inches. It’s not tough to tell them apart because the gateway has a Wi-Fi antenna on its side. Part of what makes this gateway impressive is that it’s capable of working with all SensorPush sensors, and places no limits on how many sensors can be connected. In spite of all that extra support, there’s still no monthly fee. You get cloud service included in the price of the router. But there’s room for complaint. Once you have to change the battery, it’s necessary to remove a single screw to get the battery door to open. That’s a mild inconvenience, but at least there’s no swinging hatch that can break off. The sensor was built with Swiss-made components for higher accuracy and reliability. Its operating range is between -40°F – 140°F. It’s a tad unusual for these sensors for operate in such cold conditions. And with hysterically high accuracy, within about ±2.2°F. You’re able to switch over to Celsius, as well. Data is transmitted once per minute, and the sensor carries data onboard for about 20 days. App data storage is unlimited, though you are technically limited by the storage capacity of your own mobile devices. It has a powerful range which extends to 325ft. Of course, that’s assuming there’s perfect line of sight between the sensor and the wireless gateway. The moment you start to add obstructions to the signal, the radius will drop accordingly. The included app supports both Android and iOS. Whether you’re using a Samsung Galaxy smartphone or you’re using an iPhone, both apps work equally well, and make monitoring equally simple. 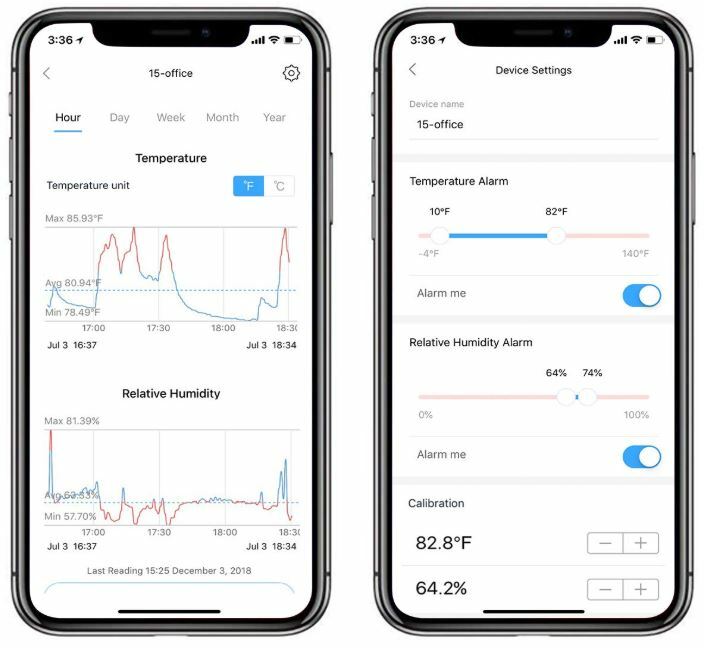 There’s a set-and-forget nature to this device because of the Bluetooth 4.0 support which lets you transmit readings and alerts only when you need to know about them. 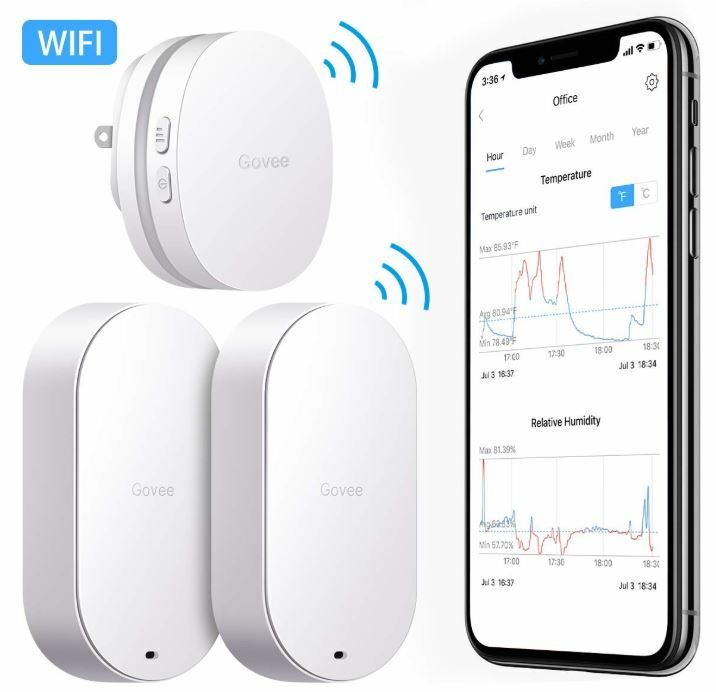 The MINGER Govee WiFi Temperature Sensor is a good choice for someone who’s looking for something simple, reliable, and quite affordable. The sensors can be used independently, or paired up with a humidity monitor that can be used as a display unit. Being able to port your data to Excel is a pretty cool feature, too. 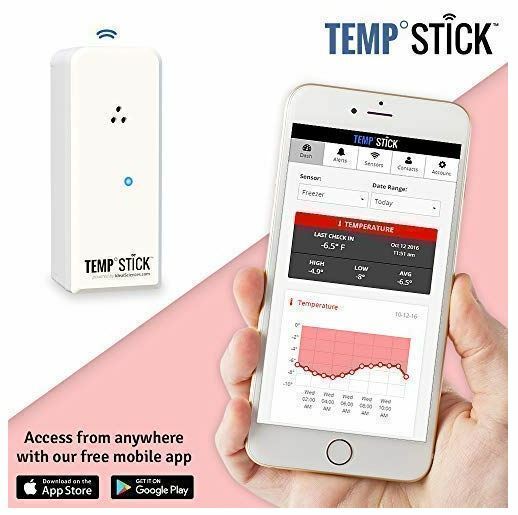 The Ideal Sciences Temp Stick can operate in terrifically cold conditions, it’s got a grossly accurate sensor, and its ease of use could be described as perfect. The only fault to find is it cannot be paired with its own display unit. You need to incorporate a tablet, smartphone, PC, or something else to actually read your data. But it doesn’t require any additional parts because the Wi-Fi gateway is built into the sensor. The SensorPush Wireless Thermometer/Hygrometer needs to be paired with a separate Wi-Fi gateway in order to operate. Of course, that means you can place the sensor at a different place than the gateway. It also means you’re able to operate several sensors and create a broader network of data collection. For people who are checking temperature and humidity in more than one small space, that makes the SensorPush G1 an excellent choice. Looking for something capable of tracking a bit more than just temperature and humidity? A wireless home weather station is a smart choice. Not only do they assist you with figuring out the rise and fall of temperatures and humidty around your home, they’re often smart enough to help predict fluctuations.